Jeremy M. Riddle is a Christian musician, songwriter, and worship leader. On March 6, 2007, his debut album, Full Attention, was released. It was birthed from his season of writing love songs to the Lord. His song “Sweetly Broken” reached the top of the Christian music charts and became the #6 AC radio hit for 2006 with more than 2.5 million hits. Jeremy’s small, influential circle in Anaheim exploded that year as his name became popular in the radio community across the globe. Jeremy now lives in Redding, California, with his wife, three daughters and one son. He recently accepted a position as the worship community pastor for Bethel Church in Redding. 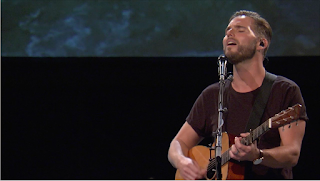 He recorded with Brian and Jenn Johnson, Will Matthews and others on Bethel’s new album, “Be Lifted High,” and he is set to release his second album, “The Now, and Not Yet,” with Vineyard Music in 2011.